After a successful showing at CONEXPO-CON/AGG 2017, the John Deere 950K PAT Crawler Dozer is now officially available at dealers across North America. This production-class crawler dozer is designed and manufactured by John Deere in Dubuque, Iowa, and is built specifically for customers looking for a machine that will excel in applications from mass excavation to fine grading. 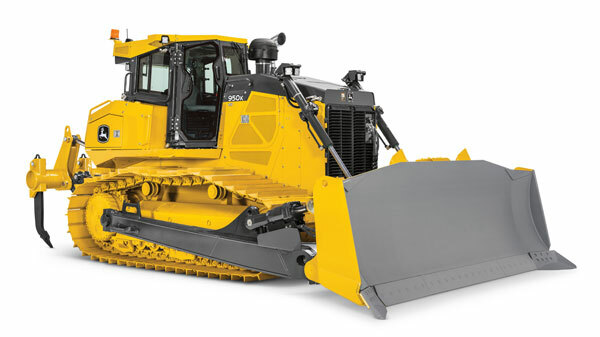 The 950K PAT incorporates an EPA Final Tier 4/EU Stage IV John Deere 9.0L engine with 280 horsepower. Contractors will quickly realize that the efficiently designed hydrostatic powertrain will get approximately 15 percent more power to the ground versus a conventional torque-converter powertrain. The 8.6 cubic yard six-way PAT blade gives the operators the flexibility to place material where they want it on every pass using the blade angle feature. The PAT enhances job site productivity and versatility by executing several tasks that might otherwise require multiple machines. Equipped with standard electrohydraulic (EH) controls, the 950K PAT is grade-control ready, making adding a grade-control system as easy as plugging in the components, calibrating and going to work. John Deere’s “open-architecture” design lets customers easily employ their favorite brand of grade-control system — Topcon, Trimble or Leica. Like other John Deere K-Series dozers, the 950K PAT features Eco mode, which optimizes fuel economy while maintaining ground speed by automatically adjusting engine speed and transmission settings based on load. 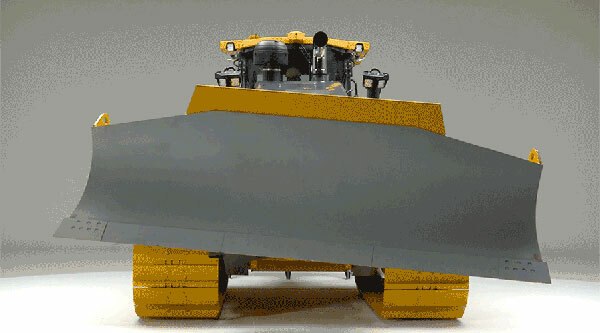 This has the potential to reduce fuel consumption up to 20 percent with no loss in productivity in many applications. Fleet managers looking to get the most out of their 950K PAT can rely on their John Deere dealers to provide Ultimate Uptime, featuring John Deere WorkSight. With Ultimate Uptime, owners receive predelivery and follow-up inspections that include five years of JDLink telematics, machine health prognostics, remote diagnostics, programming capabilities and the ability to add dealer-provided uptime solutions to a customized package.